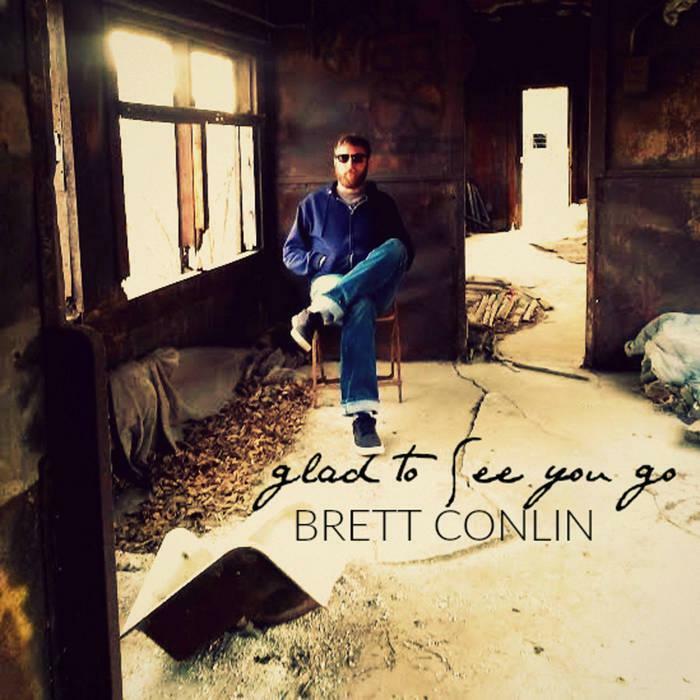 Brett Conlin plays Saturday at Nightshop in downtown Bloomington. It’s not that Brett Conlin secretly eavesdrops on conversations in his downtown barbershop to mine material for new songs. "Glad To See You Go" album cover. “I wouldn’t say it’s entirely my life, but it has been my progression,” said Conlin, now the father of a 6-year-old boy and 2-year-old girl. “I wrote that song when my son was pretty young, but I had transitioned from being a young carefree person to now working in a warehouse job and trying to make ends meet and go to school at the same time. And write music,” said Conlin. Dealing with young children is a transition for anyone, especially those as busy as Conlin. As expected, a first child introduced new emotions and perspective to the previously carefree troubadour. “Home On Time” is reflective of that. When Conlin plays nightshop in downtown Bloomington on Saturday, Oct. 20, he’ll play solo as part of the songwriter series with Naperville native and Illinois State University student Grant Milliren. But Conlin also fronts the two-piece punk outfit Dead End Lights. It’s obvious from hearing "Daggers" from the band's initial three-song “Demo” EP that Boston’s Dropkick Murphys was on his radar. Classic rock was also omnipresent while growing up. He remembers hearing a lot of his stepfather’s Steely Dan records and other classic rock and country at his father’s house. That’s where one particular song made an indelible impression. “I was sitting in my dad’s car one day. And not that this song is heavy, but I heard 'Dream On' by Aerosmith and I was like, 'Yeah, that rocks, that’s cool. Whatever that is, I want to know more about that,’” said Conlin. Covering any Springsteen song is audacious, especially one of his most well-known songs. But Conlin pulled it off. Brett Conlin plays nightshop in downtown Bloomington on Saturday, Oct. 20. Matt Garrison says bandmates in Bloomington-Normal cajoled him out of a seven-year music hiatus that began with the birth of his son nine years ago.